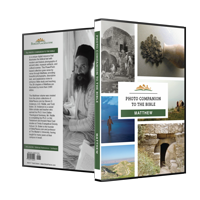 And they took counsel and bought the potter’s field with them as a burial place for foreigners. Therefore that field has been called the Field of Blood to this day (Matthew 27:7-8). The place where Judas hung himself was purchased by the chief priests as a burial place called Akeldama, or the Field of Blood. 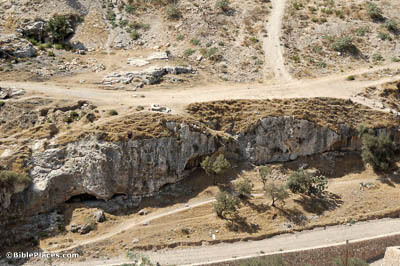 These cliffs in the Hinnom Valley are near the traditional spot, meaning that the suicide may have happened close by. Now Jesus stood before the governor. And the governor asked Him, saying, “Are you the King of the Jews?” (Matthew 27:11) Most scholars believe that Pilate was residing at Herod’s palace during the Passover. If this is true, many scenes surrounding Christ’s death may have taken place here, including this trial. 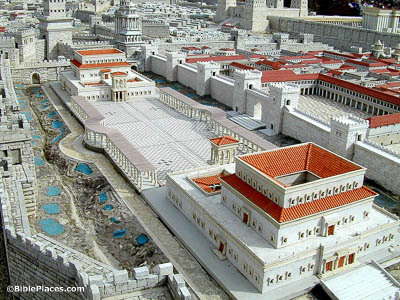 The Praetorium mentioned later, where Jesus was stripped and mocked, might also have resided somewhere in this complex. And when they came to a place called Golgotha, that is to say, “Place of a Skull” . 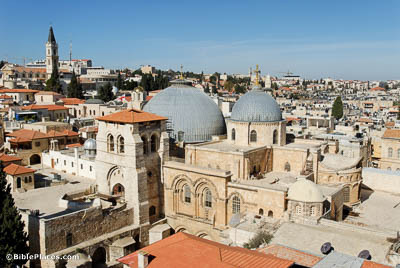 . . (Matthew 27:33) This domed structure, the Church of the Holy Sepulcher, marks the traditional location of Jesus’s death, burial, and resurrection. Relative to many other traditions surrounding the crucifixion, this has strong evidence in its favor, not least of which being its early adoption; the church was first built in the 4th century, about 300 years after the events it commemorates. And when they had crucified Him, they divided His garments among them by casting lots (Matthew 27:35). 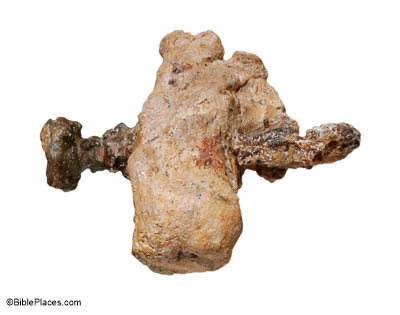 Though archaeological evidence for crucifixion is limited, in a tomb north of Jerusalem they found a heel bone with a bent nail driven through it. The item pictured here is a replica, as displaying the actual bone would offend some people. 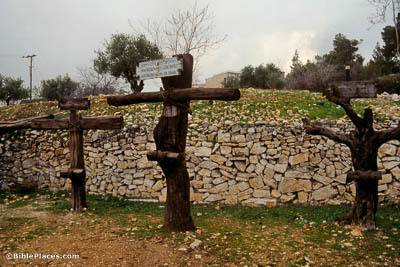 Two bandits were crucified with Him, one on the right and one on the left (Matthew 27:38). Artistic depictions of the cross generally aren’t accurate. This picture shows examples closer to reality, with the middle cross bearing the titulus (the formal accusation) of Jesus, “This is Jesus the Nazarene, King of the Jews,” in multiple languages. And Joseph took the body, and wrapped it in a clean linen cloth, and laid it in his own new tomb, which he had hewn out in the rock. 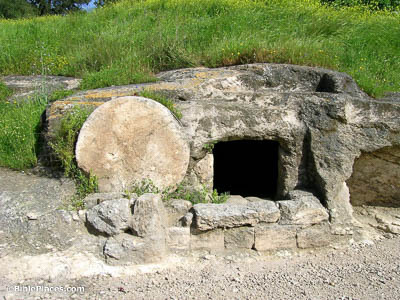 And he rolled a great stone to the door of the tomb, and departed (Matthew 27:59-60). Most tombs in 1st-century Jerusalem didn’t use rolling stones to block the entrance, making Jesus’s a little unusual. Only a handful of these tombs have been found in the area; this particular one is situated on Mount Carmel. Interestingly, the Garden Tomb, one proposed location for Jesus’s burial place, was never sealed with such a stone.